Biafra war weapons. 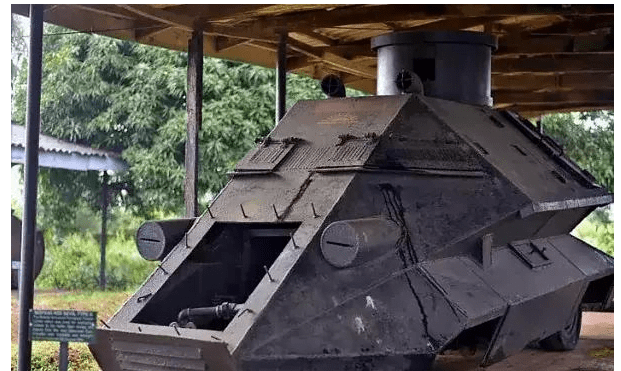 Memories of the Nigeria/Biafra war was yesterday, re-enacted in Owerri, as the Consultant to the Federal Ministry of Defence, Professor Bala Jack Yakubu, displayed some deadly weapons manufactured by Biafran engineers. According to Professor Yakubu, “all the weapons were recovered from the war theaters in parts of the South East and the South South States and carefully detonated.” Some of the home- made weapons included the multi-barrel ogbunigwe, anti-personnel land mines, improvised explosive devices, Ojukwu anti-mines (made like vehicle hydraulic jack), and anti-tank mines, for trucks, tanks, and armored personnel carriers. Other weapons displayed at the event included long range rocket launcher, anti-aircraft missile, bunker cracker launch system, short range round steel ogbunigwe, Ojukwu air launch weapon system (air drop bomb), Ojukwu mortar, Ojukwu bucket and others. Yakubu lamented that the remnants of the weapons used in the various theaters of war, have sadly continued to kill, or permanently maim unsuspecting citizens. 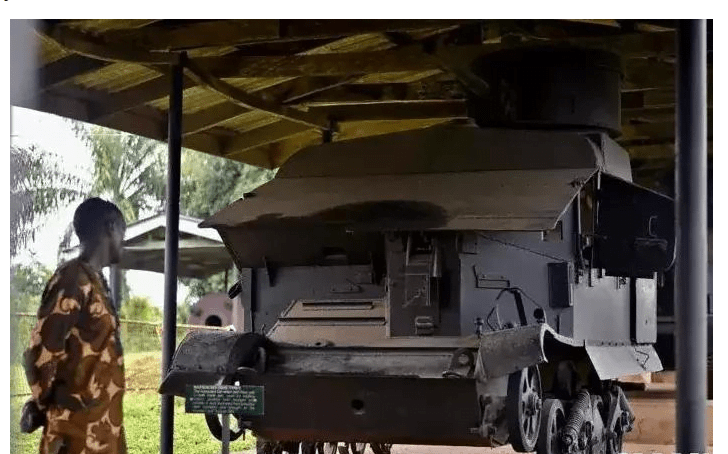 “We are showcasing some of the weapons manufactured by Biafran engineers. They caused a lot of harm during the war and today, innocent people are the casualties of these remnants of war”, Yakubu said. While appealing to Nigerians to report any suspicious objects to the nearest security agencies, Yakubu, however, warned that people in the North Eastern States were likely to experience the same thing, when the insurgency is finally crushed. Speaking also, Professor Chinedum Adiele, who represented Shedrack Eneogwe, said that it was shameful that the remnants of these dangerous weapons were still killing and maiming people till today.